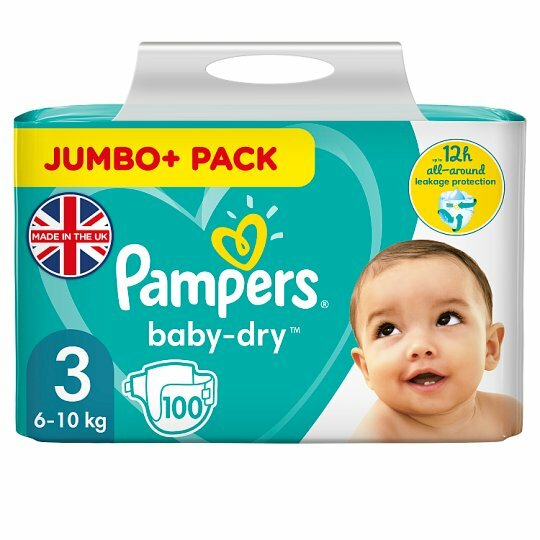 Air channels for dry bottoms with Pampers baby-dry nappies. As a parent you understand the importance of fresh air against your baby’s skin, which is why you may like to let your baby have some nappy-free time during the day. Pampers baby-dry nappies create space for air to flow freely inside the nappy, giving your baby that fresh air feeling. With up to 12 hours of Breathable Dryness, your baby’s bottom stays dry throughout the night for a comfortable sleep. Use with Pampers wipes.